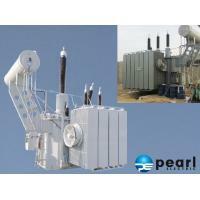 Brand Name: Pearl Electric Co.,Ltd. The core is manufactured with high quality cold rolled grain-oriented silicon steel of high magnetic conductivity, and 45° mitring and steps overlapping structure is used for core production, enable the effectiveness of reducing no-load loss and no-load current. HV winding is manufactured with high quality copper conductor, adopting optimized structure to improve electric distribution. Lightning impulse wave process is carried out for calculation and analysis, thus to improve transformer's anti-lightning impulse capability. LV winding is manufactured with high quality foil conductor, so the ampere-turn balance is excellent and the transverse magnetic flux leakage is low. The anti-short circuit capability is thus greatly improved. 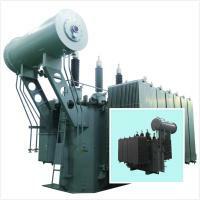 Oil conduit is rationally designed in the windings to increase winding's heat dispersion surface, effectively reduce temperature and improve transformer's overload capability. 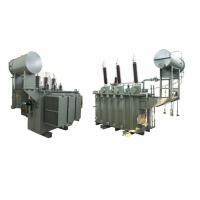 The transformer adopts class-A insulation. The HV and LV windings are arranged in concentric way. Between the windings are oil-clapboard insulation structure built with paper cylinder and small oil conduit. The tank conservator tank type with radiator fins. Conservator oil-level of body Higher oil-level Comply with the instruction of oiling and oil-expulsion, then control oil level. Conservator oil-level of on-load tap-changer Higher oil-level Comply with the instruction of oiling and oil-expulsion, then control oil level. Body conservator dehydrating breather The color of the silica-gel is reddish Comply with the application instruciton of the dehydrating breather. On-load tap-changer dehydrating breather The color of the silica-gel is reddish Comply with the application instruciton of the dehydrating breather. 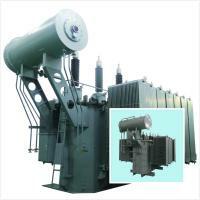 Pearl Electric's history may date back to the year of 1958 when it is founded as the Panyu Electrical Motor Factory. 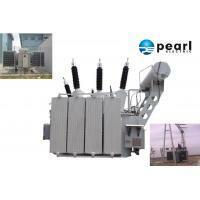 With more than fifty years development and company restructuring/reorganization in recent years, Pearl Electric is now ready to realize its ambition of becoming a global power transformer manufacturer and supplier. Reactor and other power transmission and transformation equipment. 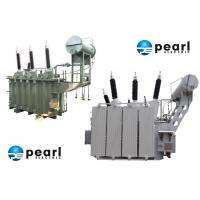 Pearl Electric is Guangdong Provincial Famous Brand and Guangdong Provincial Famous Trademark. 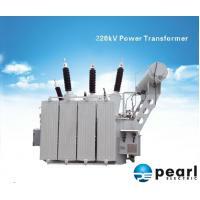 Pearl Electric Co., Ltd. is a professional and high-tech manufacturing enterprise engaged in the R&D, manufacturing and sales of various power transformation and transmission equipment. 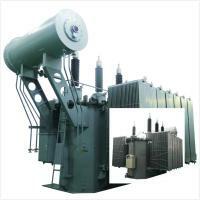 The main product coverage is 220kV (and below 220kV) oil-immersed power transformer, 35kV (and below 35kV) dry-type power transformer, reactors, pad-mounted transformer and prefabricated substation. Pearl occupies a factory area of 9 hectares, with more than 6 hectares of modern factory buildings. 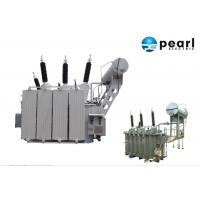 Having more than 600 employees and possessing more than 260 sets of specialized manufacturing equipment, Pearl boasts an annual output capability of 6 million kVA transformers, 1.50 million kvar reactors and more than 2000 sets of pad-mounted transformer/prefabricated substation. Pearl Electric boasts a professional R&D team with more than 60 engineers for the development of new products, design of customized model and guarantee of factory manufacturing. 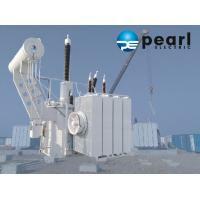 Pearl Electric has also established a complete Quality Management System, with the following certifications passed: ISO9001: 2008 Quality Management Certification, ISO14001 Environmental Management System certification and OHSAS18000 Occupation Health and Safety Management System certification.